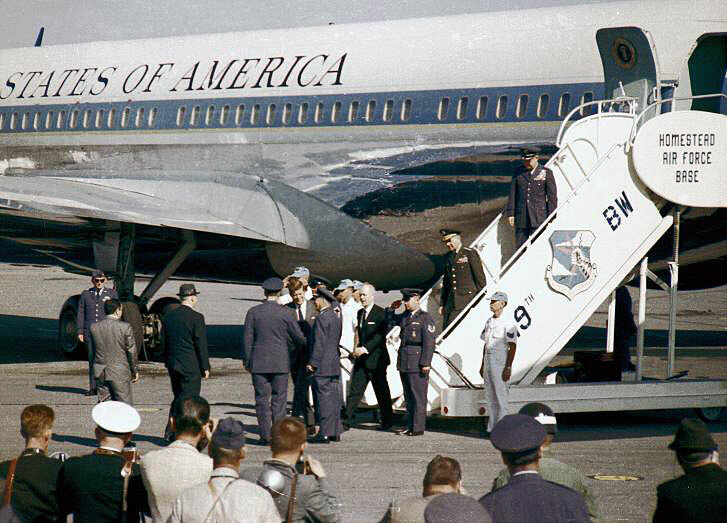 The 434th Troop Carrier Wing from Bakalar Air Force Base, Columbus, Indiana was mobilized in 1962 for the Cuban Missile Crisis. 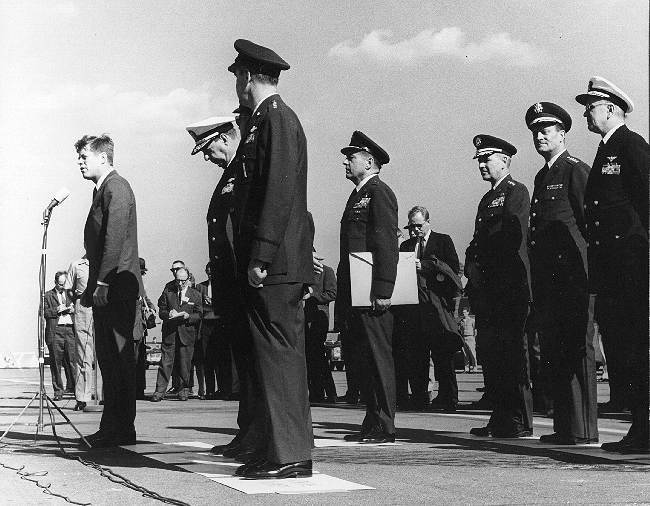 The closest the world has come to nuclear war was the Cuban Missile Crisis of October 1962. 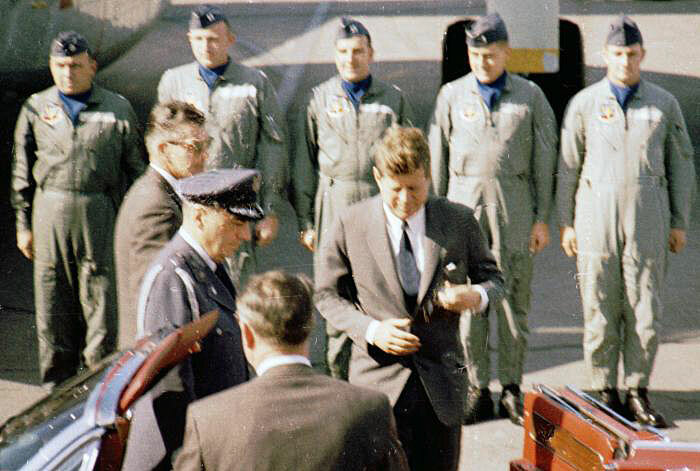 Colonel John Hoff, Bakalar Air Force Base commander shaking hands with President John F. Kennedy at Homestead Air Force Base in 1962 during the Cuban Missile Crisis. 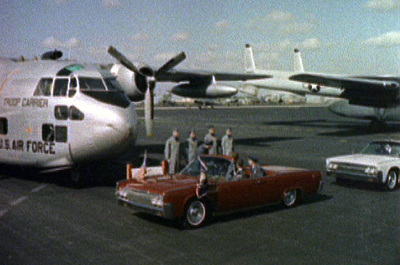 C-119G aircraft and crews from the 434th were lined up for an inspection by the President. Major General John W. Hoff (then Colonel) was Command Pilot of C-119G #952, Pilot was Lt. 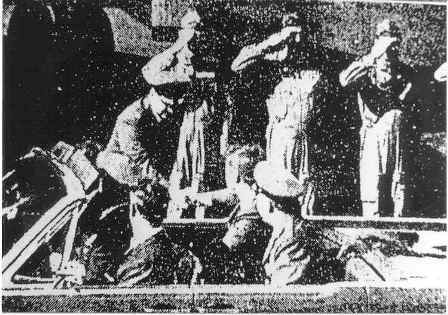 Colonel Joe T. Pound, Co-pilot, Major Norman Clifton, Navigator, Captain Donald Johnson, Flight Engineer, Staff Sergeant Ronald Wheeler and Assistant Flight Engineer, Airman Bart Dye. C-119J #037 is on display at Wright Patterson. 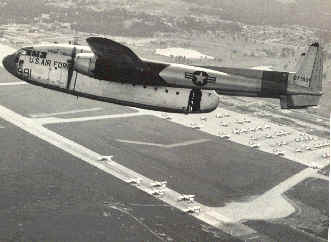 C-119G #991 is shown in the photograph. 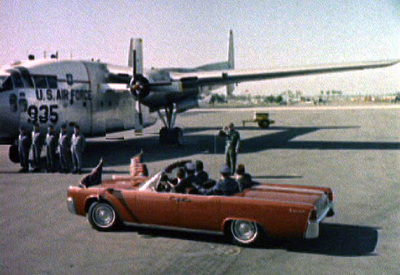 According to General Hoff's flight records, the C-119G #952 was in the air for 5 hours and 20 minutes from Bakalar Air Force Base Columbus, Indiana to Homestead Air Force Base, Florida on 24 November 1962 with a 5 hour 20 minute trip back on 26 November 1962 to attend the President Kennedy November 25, 1962 Homestead visit. General Hoff's records indicate that the 434th mission was released from active duty on 28 November 1962. 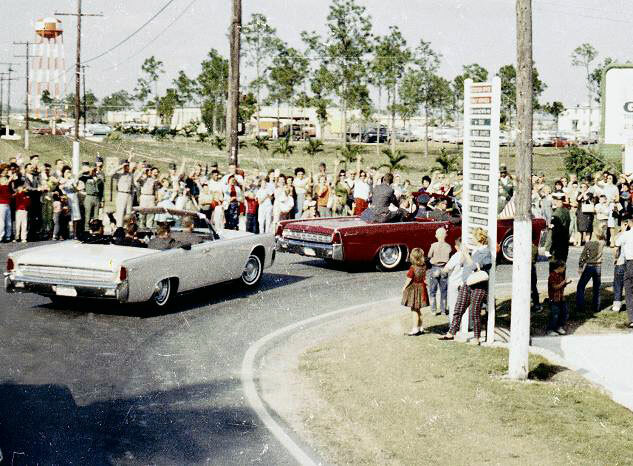 These photographs of President John F. Kennedy were taken by and given to the Museum by Doug Mathews who was an Air Force Combat Photographer assigned to cover the Cuban Crisis from Homestead Air Force Base, Florida. The crew member in this photo is Louis Laubach, Aircraft #935 crew member. 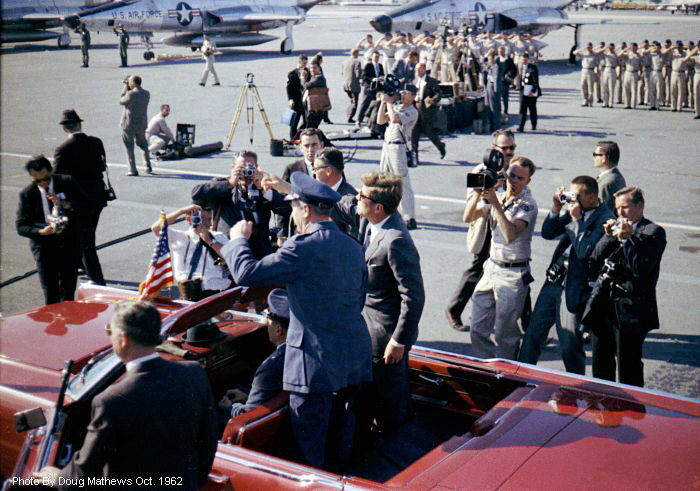 President John F. Kennedy and Air Force One at Homestead Air Force Base. Photos by Doug Mathews, who indicated that most of the Joint Chiefs of Staff are in these photos. 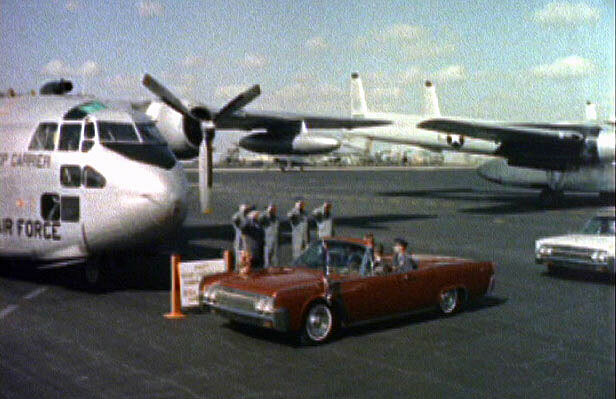 These photographs taken by Doug Mathews at Homestead Air Force Base in October 1962. 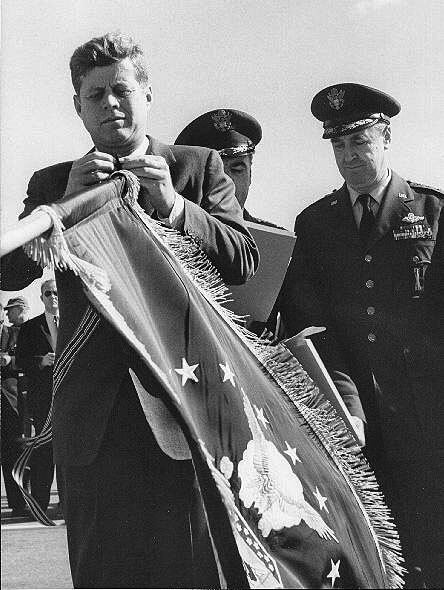 President Kennedy attaching the award streamer to the flag. 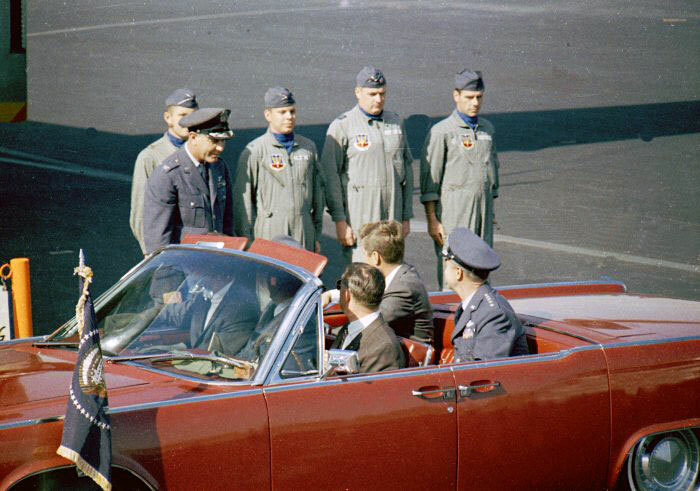 John F. Kennedy addressing the assembled airmen, including members of the 434th Troop Carrier Wing. The RF-101 recon aircraft flew missions over Cuba. 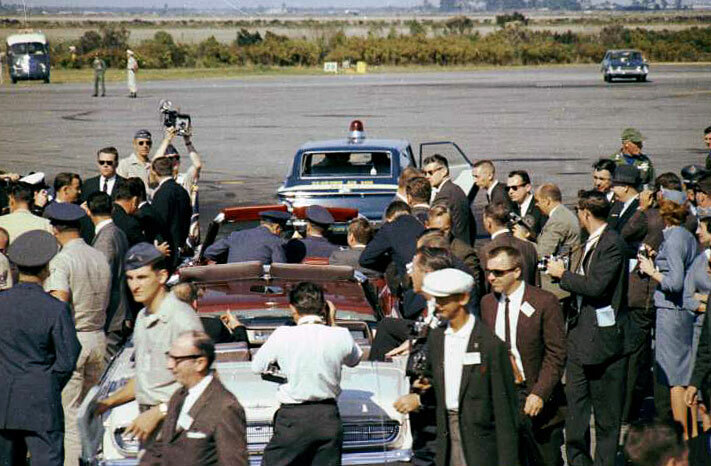 JFK looking at the camera and the masses of news people and photographers at Homestead Air Force Base, Florida. 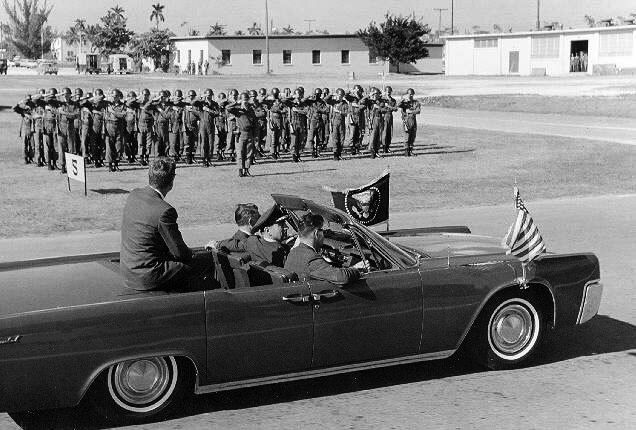 JFK reviewing some Army troops at Homestead. 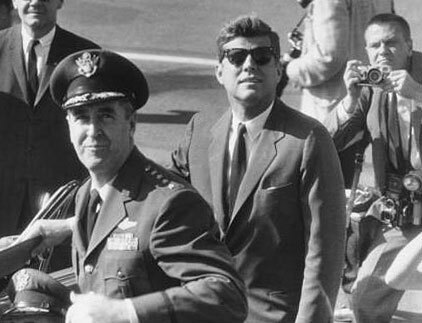 Kennedy leaving the Homestead Command Center. 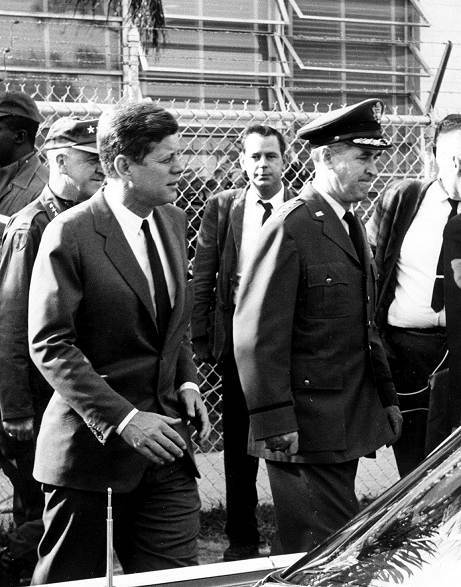 JFK reviewing some aircraft and crews at Homestead. 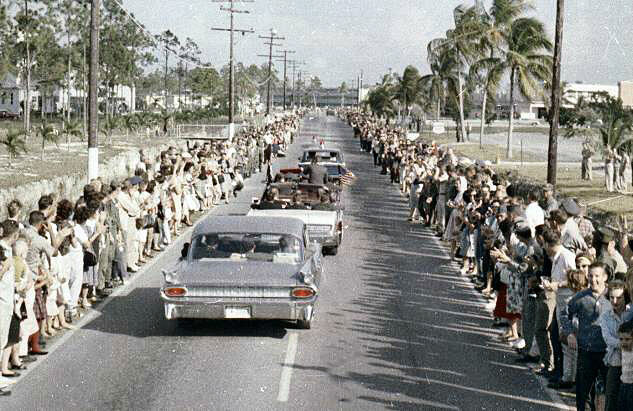 The Presidential motorcade at Homestead Air Force Base during the Cuban Missile Crisis. 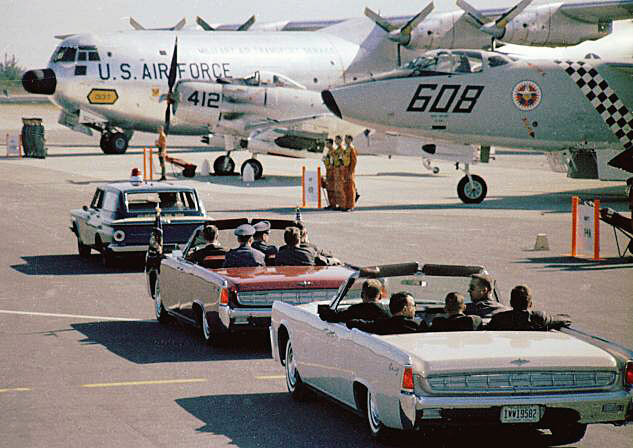 Notice the open top convertibles and how close the President is to the general public. That all ended in November 1963. 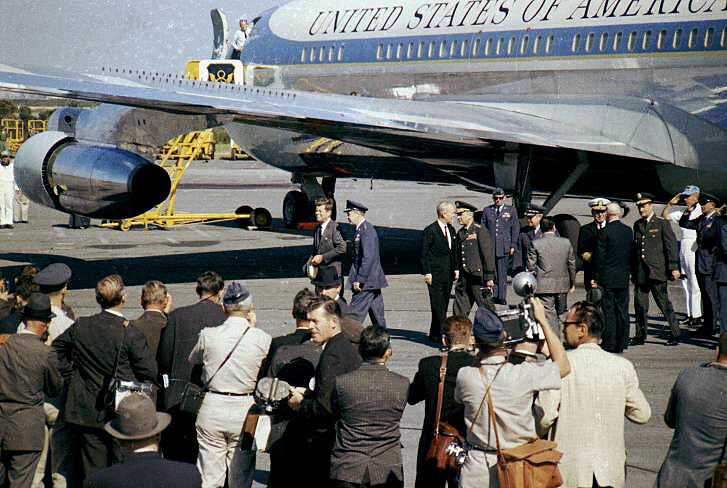 According to Air Force Combat Photographer Doug Mathews, you could not get near the Command Center during October, but when the President came, the gates opened up and everyone just walked in. The only thing Doug remembers is it was a room full of desks and phones with a little light in the middle of the dial. 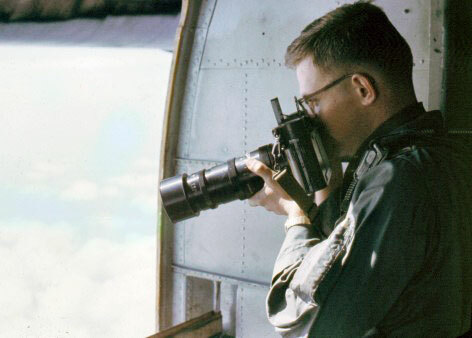 Photos of Doug Mathews, the Air Force Combat Photographer, taken in 1960s. 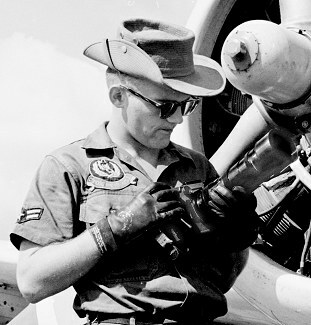 Doug gave the museum most of the photographs of the events at Homestead Air Force Base during the Cuban Missile Crisis from his personal collection.